In more dealer of the year awards PACCAR Parts has announced Twin City Truck Centre in Wodonga as its 2018 Dealer of the Year. 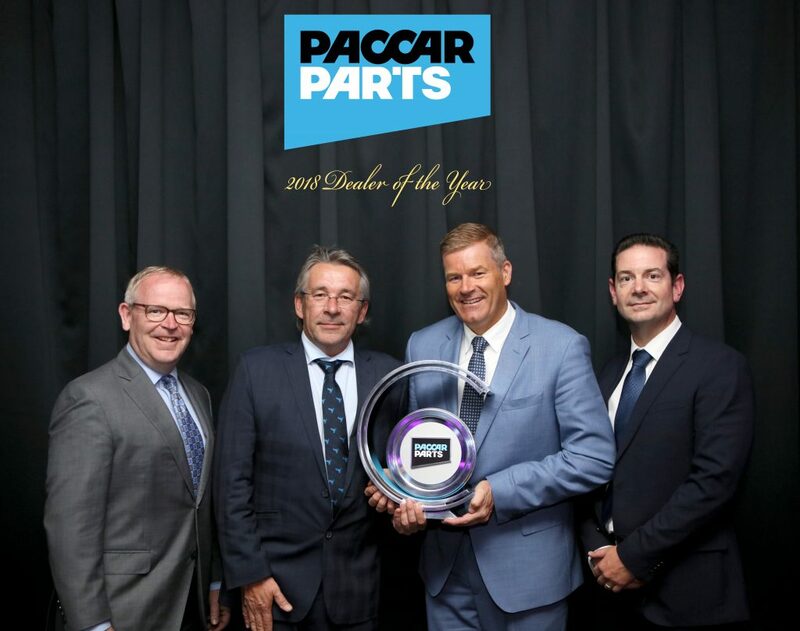 PACCAR Parts says its Dealer of the Year Award recognises dealers over a range of areas including sales growth, parts availability, participation in retail marketing activities, training and most importantly, the support the dealer provides customers. Damian Smethurst, General Manager of PACCAR Parts Australia presented the Dealer of the Year trophy to Twin City Truck Centre Dealer Principal, Chris Dziedzic, congratulating the dealership for winning the PACCAR Parts award and crediting them for their benchmark performance. 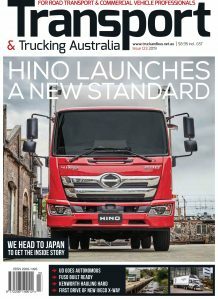 “Twin City Truck Centre has embraced all aspects of the aftermarket for a number of years now, so it is especially pleasing to see their efforts and focus rewarded in this way. Chris and his loyal team continue to strive for excellence in customer service by offering industry leading quality, parts availability and technical support. TCTC also fully support aftermarket initiatives such as PACCAR Parts Fleet Services, the TRP product range, vendor retail marketing activities and outside sales representatives. This all round focus is resulting in solid business growth that will no doubt provide a platform for future customer service investments. Congratulations to Chris, Mark and the team at TCTC!” Damian said. “We were very proud to accept the award on behalf of the whole dealership. In a very competitive parts market, the whole team really embraced ‘Our Focus’, which provides our customers with quality, value, and well communicated products and services.” says Chris Dziedzic. “Mark Ayton, our Parts Manager, was fantastic in mentoring the staff, investing in training, and encouraging the youth. It is great to see the development of our next generation. “PACCAR really provide quality product at super pricing and with the growth in product range in the TRP brand, it certainly assists us to grow.” adds Dziedzic. “We’re extremely proud to receive the 2018 PACCAR Parts Dealer of the year award. Every member of our Parts team worked hard right throughout the year to help achieve this goal. Our staff truly are a great asset. An excellent relationship with PACCAR Parts, coupled with an ever-expanding range of parts and accessories has also assisted with growth.” comments Mark Ayton, Parts Manager of Twin City Truck Centre.